My goal is to create READERS. Readers who think. Readers who write. "The purpose of schools ought to be to create intellectual communities where students are encouraged to be risk takers, to be curious, to be willing to try and fail, and to be more interested in asking questions than providing answers... School ought to be a place where you go to develop a passion for learning - for a lifetime of learning. 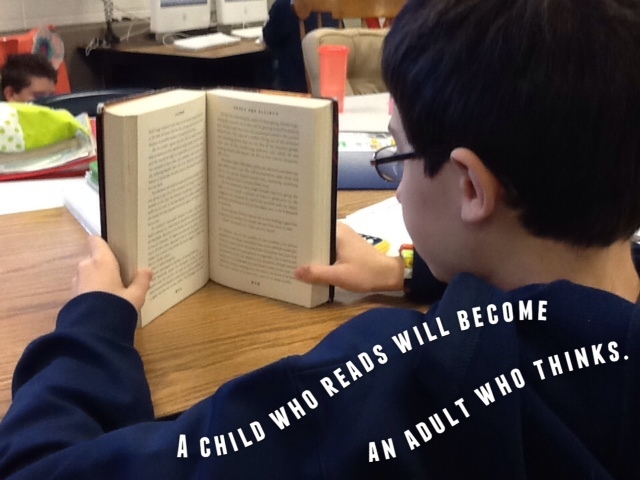 ... Part of reaching that goal is helping students become independent, engaged readers - readers who will, for a lifetime, want to turn to books to learn more about themselves, others, and the world around them." (Beers & Probst, 24, 62-63). And did you know... "The single factor most strongly associated with reading achievement - more than socioeconomic status or any instructional approach - is independent reading." - Stephen Krashen, The Power of Reading. "...dialogic conversation [give and take discussion in the classroom] increases engagement and improves achievement more than monologic talk [where a teacher lectures, explains, and imparts as students nod and are expected to accept]" (Beers & Probst, 29). Our class will more than likely be messy, and at times it can get loud. We want students analyzing, synthesizing, evaluating, applying, speculating, inferring, and confirming.... Engagement and achievement increase when it's the students talking, and I am the facilitator. When students see me not giving "right" answers, they become even more determined to learn, or form (and perhaps change) an opinion. Our class discussion structure has students reread short pieces three to five times, has them generate their own questions, asks them to collaborate in speculating about possible answers, gives me an opportunity to propose my own questions into the conversation, allows me to lead at times without taking responsibility entirely out of the hands of the students, and invites students to do a personal and private summing up of the passage and their discussion of it in writing. As Chris Tovani says, "Research is clear. Whoever does the reading, writing, and talking in schools is the one getting smarter." Will we cover the Common Core Standards? * build strong content knowledge. * comprehend as well as critique. The Common Core wants teachers to "ensure that all students have daily opportunities to read texts of their choice on their own during and outside of the school day." Each day we are in school, we'll be working on the above goals. 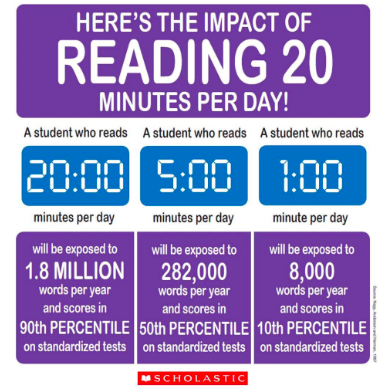 Our only homework most days - to read for 20 minutes - is to build stamina for reading. 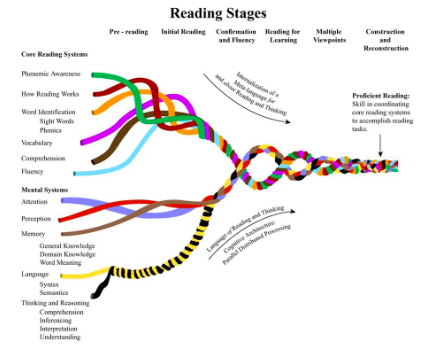 This will help students read what they are assigned to read in future years. I view parents as partners in this endeavor. I will not censor what students are reading in class. 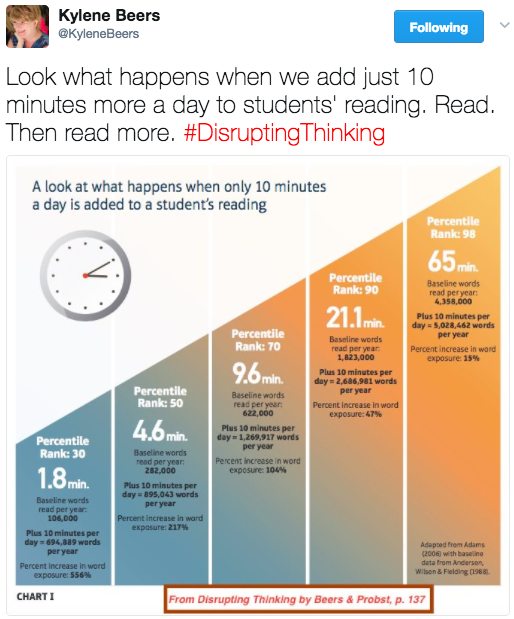 If they are reading, they will become better readers, and more critical thinkers. They will be better at communicating with others, more empathetic towards others, and they can learn how to learn through characters' mistakes so they themselves don't have to make the same ones. Volume matters. If they are writing about what they read, they will become better writers and learn to think more deeply about what they read. Black, P. & Wiliam, D. (Nov 6, 2001) Inside the Black Box: Raising Standards Through Classroom Assessment. Be sure to check out the complete infographic describing the future of learning here - from Ian Jukes, "What the Future of Learning Might Look Like," on the 21st Century Fluency blog. Used with permission from the authors. 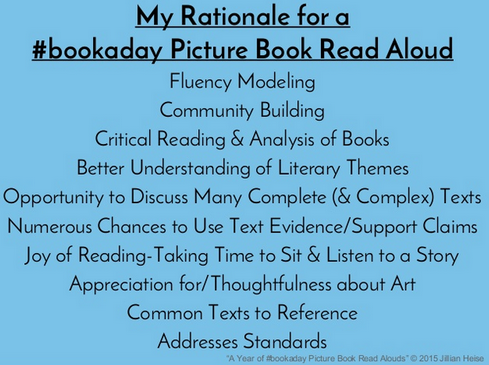 What does independent reading look like? What are we doing? Consider subscribing to my professional blog - My Own Genius Hour. 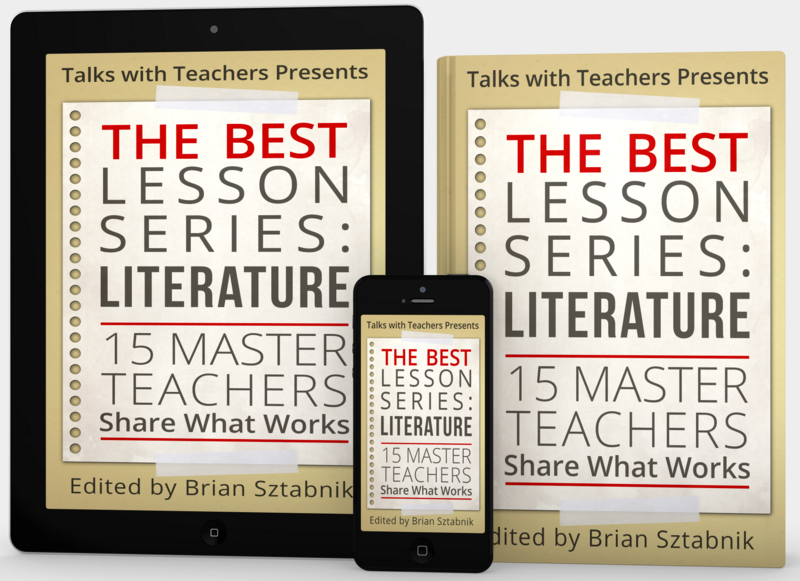 Another resource is The Best Lesson Series: Literature, in which I've written a chapter about a science fiction unit we've created for 7th graders. I cannot find the source for this photo - can you help? Jillian Heise, a 7th grade teacher in Wisconsin, has graciously shared her resources online, and I've added to them to come up with picture books galore. You can be a part of it by signing up here to read to us! November, 2015 Update: I couldn't keep up with it. I'd be at the local library for two hours each weekend trying to find five books for each week that would have some sort of connection to our lessons, and not take up 20 minutes of our day. It was TOUGH! I'll continue to find picture books when I can, and keep trying to integrate them, but I cannot keep up with the pace of one each day right now. 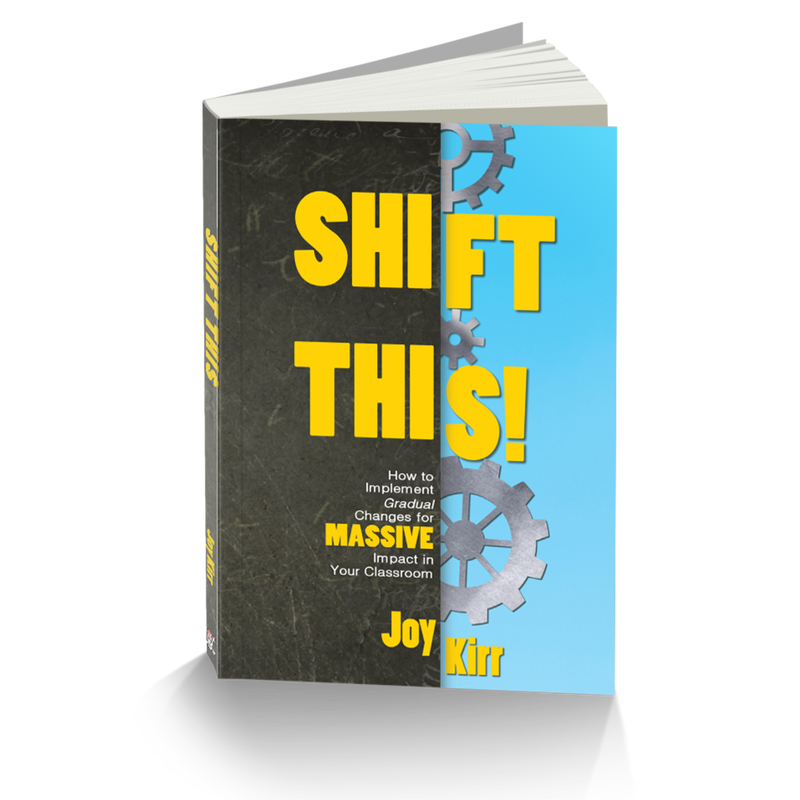 To read about reasons WHY we do what we do in ELA... pick up Shift This!